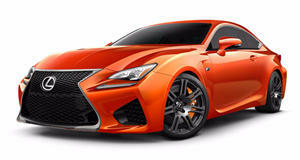 Lexus GS-F to Challenge BMW M5? A naturally aspirated Lexus V10 engine could challenge BMW M5's twin-turbo V8 in a possible GS-F. If Lexus is serious in pursuing BMW in the battle to be the hottest, fastest and most lucrative premium brand in the North American market, then it should realize that ambition must be followed by deeds. And so it was quietly rumored during the Los Angeles Auto Show that Lexus is seriously considering the production of an M5 competitor, most likely to be called the GS-F. 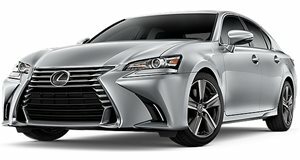 According to Autocar.co.uk, the GS-F will be powered by the LFA&apos;s 4.8-liter V10 engine, but reduced to 4.6-liters and with around 460hp (compared to the LFA&apos;s 552hp). The new M5, officially unveiled last September at the Frankfurt Auto Show, is equipped with a 4.4-liter twin-turbo V8 with 560hp - 100hp advantage over the rumored GS-F. In that case, the difference will be in the engine type, so a naturally aspirated V10 from Lexus might challenge the new M5 from an unexpected angle. Again, nothing has been confirmed just yet, but it makes a solid business case for Lexus in terms of upping their performance credentials. Photos displayed are of the 2013 Lexus GS 350 F Sport.